R K P Home Improvments in Gorleston-on-Sea near Great Yarmouth is a good place to go for all your home improvement needs and advice. From Great Yarmouth follow signs for Gorleston-on-Sea. 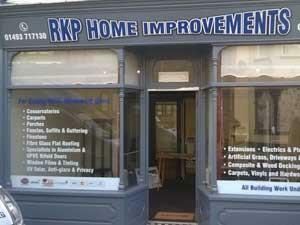 R K P Home Improvements is located mid-way along the main High Street.